Though Chiropractic care has increasingly become a choice of care for the public, there are still lingering misconceptions that might deter others from seeking care. According to Gerard Clum D.C., the Presidential Liaison for External Affairs and Director of the Octagon at Life University, there are several “myths” about chiropractic care that need to be discussed to increase awareness. The bottom line for Gerard Clum D.C. is that patients can choose when to begin chiropractic care and when to end it, it’s as simple as that. 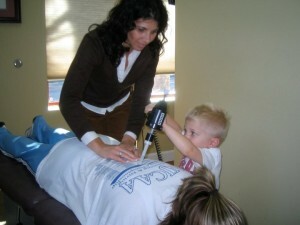 However, he points out that chiropractors approach their care from the same standpoint as a dentist. You go to the dentist for routine care and to get your maintenance work done. Once that is established, you will probably want to check back later and make sure those problems are still under control. Gerard Clum D.C states, “We are fortunate because a great ‘side effect’, of getting your spine checked and removing interferences to the nerve system so it can express health fully, is that people feel better all around. This often includes relief from pain”. Chiropractic care is not just limited to pain relief, it is a part of a whole care system that works towards better well being. The common feeling is that if “real doctors” are limited to “medical doctors,” then no, chiropractors are not medical doctors. Across the spectrum of health care there are all sorts people who are doctors for specific types of needs. “Clearly, chiropractors are not medical doctors and we don’t seek to be medical doctors. That doesn’t mean we don’t have a body of knowledge, that we don’t have a body of interest that qualifies us [for] a doctorate degree”. “The noise associated with an adjustment is [usually] the normal release of gases from [within the] joint space rather than the movement of bone on bone”. Please feel free to contact me with any questions you may have or to further discuss your hesitations about chiropractic care at docsage@docsage.com.